Is your institution maximizing the full potential of CRM for transforming student success? More institutions today are extending CRM functionality across the student lifecycle to improve engagement, retention and outcomes. 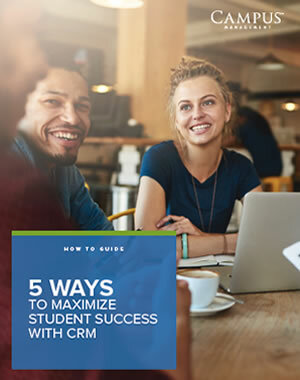 Explore five ways to maximize student success through CRM in this best practices guide. Your personal information, including your email address, will be held in the strictest of confidence and will never be shared with anyone.